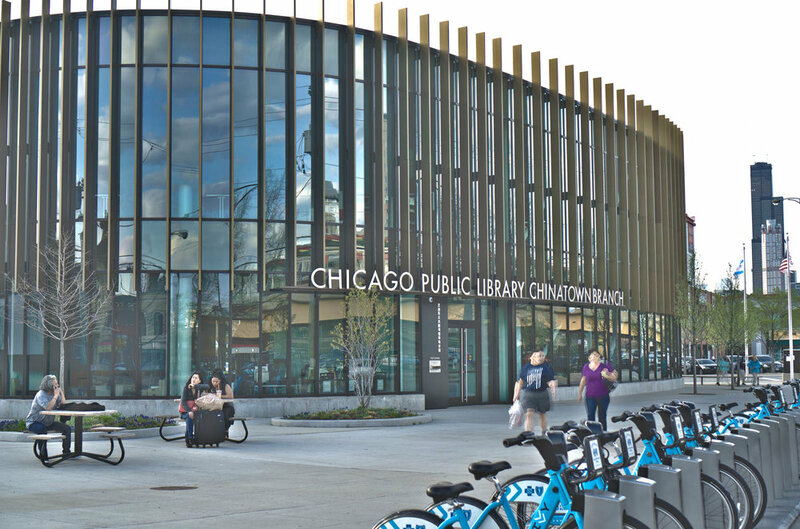 The project was launched by the Public Building Commission (PBC) of Chicago on behalf of the Chicago Public Library to better forward its mission to Chinatown area patrons. The goal of the project was to provide a library with a modern design that both fits in with and enhances the Chinatown neighborhood. Led by Wight & Company in collaboration with Skidmore, Owings & Merrill (SOM) and Drucker Zajdel Structural Engineers (DZSE), the design-build team set out to craft a LEED Gold certified building designed for flexibility and utility.